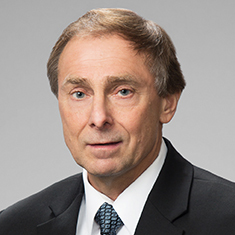 Victor B. Zanetti has a broad corporate and securities practice that focuses on a variety of matters with a specific emphasis in mergers and acquisitions transactions for both buyers and sellers, including representation of private equity funds, family offices and venture capital growth funds in M&A and corporate finance transactions, as well as founders and selling owners of privately held businesses to both private equity funds and strategic buyers. Vic represents private equity funds in connection with acquisition, follow-on and sale transactions for portfolio companies involved in various industries, including manufacturing and sales, professional sports, business services, health care services, industrial services and other service industries. Vic was involved in the transaction named "2016 Healthcare Deal of the Year" by M&A Atlas Awards. He also regularly is engaged as special counsel to founders and selling owners in negotiating retained equity stakes when selling their businesses to financial buyers. He also represents both investment funds and recipient public companies in private investments in public equity (PIPE) transactions, involving convertible debt, convertible preferred stock, warrants and related investments. Additionally, Vic represents owners of professional sports franchises in a variety of matters. Shown below is a selection of Victor’s engagements. Representation of private equity funds in connection with acquisition, follow-on and sale transactions for portfolio companies involved in various industries, including manufacturing and sales, business services, health care services, and industrial services. Representation of a growth-oriented private equity firm in the acquisition of a provider of environmental solutions and industrial services, a manufacturer of super-premium branded pet food products, a strategic litigation support partner (including subsequent add-on acquisitions of two peer companies, a subpoena and document service, and a court reporting company), and a provider of auto auction services (including subsequent add-on acquisitions of two peer companies). Representation of a growth-oriented private equity firm in the disposition of a manufacturer of premium branded pet foods, a movie theater chain, an eating disorder treatment center, and an addiction treatment center. Representation of private companies in obtaining venture capital and bank financings, and in sale transactions to strategic or financial buyers, including the representation of selling owners to private equity funds in negotiating the terms of retained ownership positions. Representation of owners in the sale of a walk-in urgent care clinic chain. Representation of owners in the sale of a physical therapy company. Representation of owners in the sale of a provider of interventional and non-interventional solutions for pain. Representation of owners in the sale of a residential waste management services provider. Representation of owners in the recapitalization of a gelato chain. Representation of owners in the recapitalization of a provider of communications platforms for businesses. Representation of an owner/manager of sports franchises in the sale of two MLS franchises, the expansion of a stadium and the acquisition of an ECHL minor league hockey franchise. Representation of a premium supplier of home textile products in the acquisition of certain assets from a textile and finished goods company. Representation of the majority owners and board of an MLB franchise in a joint venture for an entertainment district and hotel complex development. Representation of a leading prepaid payment network in its acquisition of various companies in the corporate, retail, and employee gift and reward cards marketplace. Representation of investment funds and recipient public companies in PIPE transactions involving convertible debt, convertible preferred stock, warrants and related investments.